The FBI is investigating a cyber attack on the city of Cleburne, Texas, that shut down the city’s website and appears to be motivated by a police officer’s controversial shooting of a dog, the mayor said Wednesday. "We're under attack as we speak,” said Cleburne Mayor Scott Cain. "We consider an attack on the city an attack on the residents, and we're not going to put up with it." 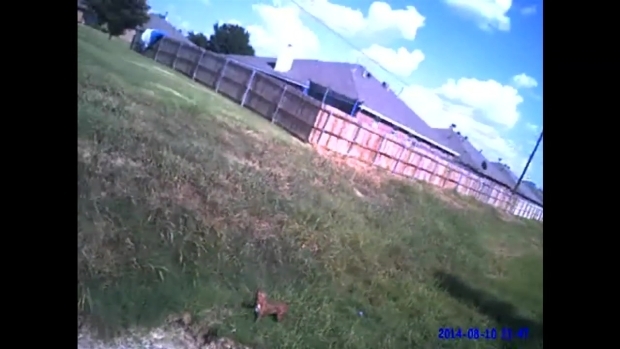 Video showing a police officer shooting a dog has been viewed more than 200,000 times on YouTube. The officer was dispatched to a report of three vicious pit bulls and shot one of them. The officer is on paid leave while an investigation is underway. A Cleburne family is demanding justice after just-released video showed a police officer shooting and killing their 6-month-old pit bull Maximus. Hackers are using a “denial of service” attack to overwhelm the city’s servers, slowing emails and all but shutting down the city’s website, which residents use for everything from paying utility bills to reporting potholes. "Our IT guys are working on it around the clock,” Cain said. Cain promised a transparent investigation into the dog shooting. Owner of Dog Cop Shot in Video: "I Couldn't Believe It"
"When the review is completed we are going to let the chips fall where they may,” he said. Regardless of what happens with that, he said whoever is behind the hacking is picking on the wrong city. "If somebody thinks that they are going to send a message to an officer or the city of Cleburne, don't mess with Cleburne, Texas,” he said. “We will prosecute you to the fullest extent of the law. And we're not going to put up with it." Katherine Chaumont, a spokeswoman for the FBI’s Dallas office, confirmed the bureau is assisting Cleburne with the cyber-crime investigation.